If you’re a guitar player, you know that lugging your amp around can get a bit tedious. Not to mention avoiding noise complaints when practicing can be tricky if you’re staying in a hotel or living in an apartment. When you wake up in the middle of the night with a great idea, you can’t just ignore it and go to sleep. You have to plug in and jam out—it’s a craving all artists and performers feel. When you have to be considerate of your neighbors, that can be a tricky midnight calling. Small/Portable amps are a solid option, however even those can become a hassle to carry around everywhere you go. In addition to their weight, they still make noise and don’t sound anywhere near what their full size counterparts sound like. If you live in an apartment, soundproofing can be a great solution, but it also can get expensive without fully fixing the situation. Turning down your amp won’t give you the same satisfaction in sound and you might hear added noise. So what is the solution to practicing quietly while still getting that same amplified sound and quality? 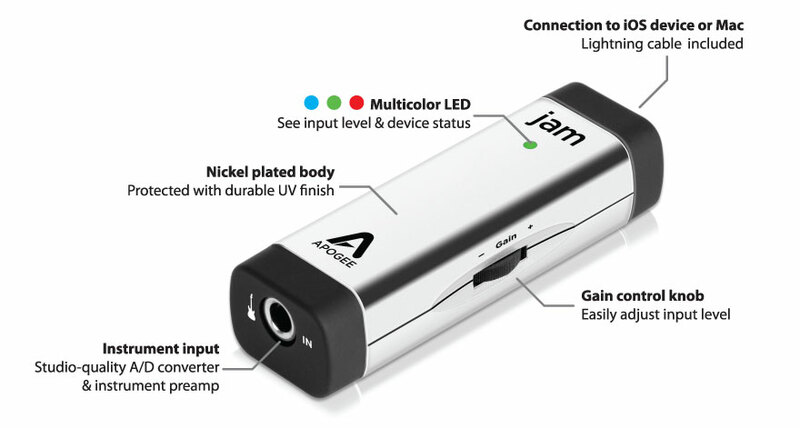 Apogee introduced JAM in 2011 as a portable guitar input that you can fit in your pocket and allow you to record with studio quality. JAM has been mastered to provide the same Apogee technology used by the world’s biggest recording studios and artists in a compact and easy to use form that allows you to have studio quality guitar tones from your Mac and iOS devices. When sitting in your hotel room late at night, break out JAM and connect it to your iPhone, iPad, or Mac and let your creative juices flow. 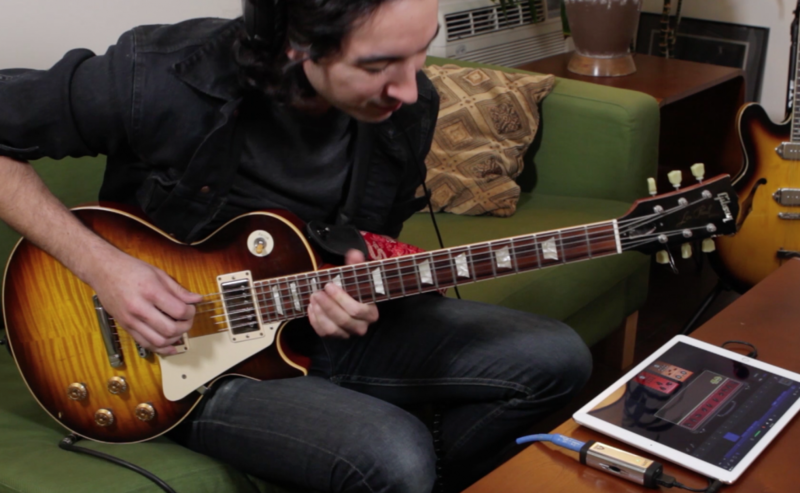 It’s as simple as plugging your guitar into JAM, connecting JAM to your Mac or iOS device, opening Garageband and putting on some headphones. Garageband also allows you to choose from different presets, amps and pedals. Most of these options emulate well known amp and pedal brands so you can get that exact sound you’re looking for. This is the perfect option for those who are looking to practice with great quality and the brands they love. The gain wheel on the side of JAM allows you to dial in the perfect level for your practice session or recording. You can even monitor your level without having to look at your software. Simply observe the LED light located on the front of JAM. If the light is green, you’re ready to rock. Maybe you want to add some more effects to your guitar to get that true tone you’re looking for. No problem. 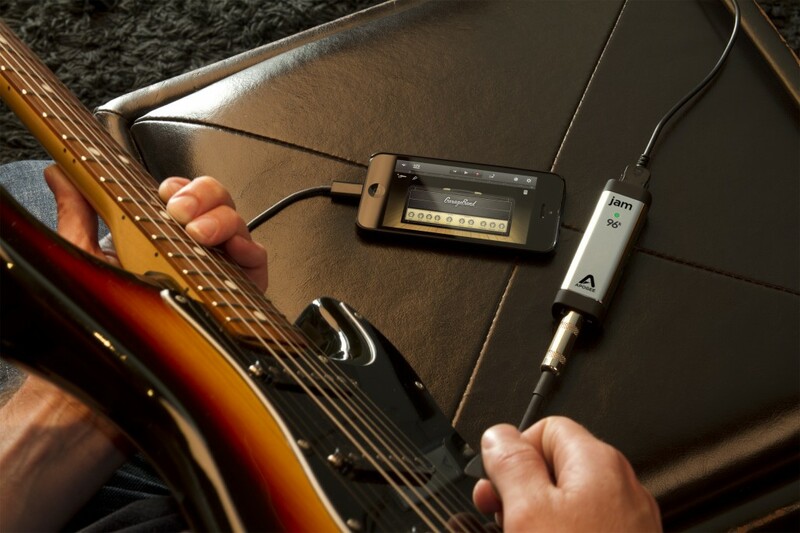 JAM allows you to plug in your guitar pedal to maximize your jam session experience. Wherever you’re musical adventures take you, you can count on JAM being there to provide the perfect sound for that delicate moment. No more noise complaints or angry neighbors—simply plug and play. With a low price and high quality output, nothing compares.